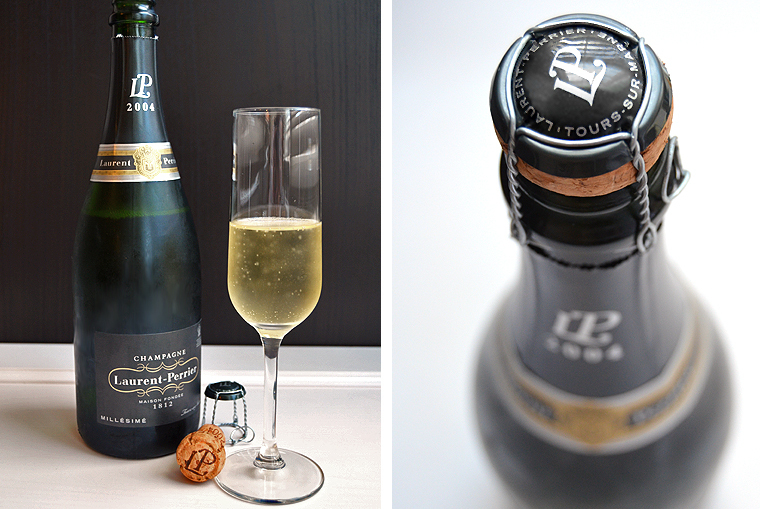 Laurent-Perrier’s Brut Millésimé 2004 celebrates one of the finest vintages in recent memory. 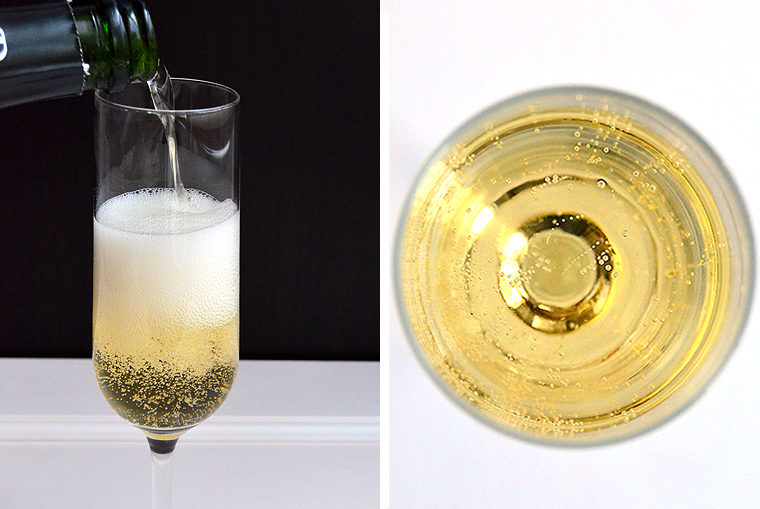 The resulting wine is a signature house style Brut that captures the unique and rare qualities of that harvest. The label Millésimé is reserved for only the greatest of harvests, and only when the grapes possess unique character is a vintage declared. 2004 was just such a harvest. The growing season followed a steady winter and a mild spring; although marked by hailstorms, the remaining crop enjoyed a warm summer that ended with a 3-week Indian summer of warm, sunny days and cool nights, ideal conditions that resulted in perfectly ripened fruit. Among the successes of that year, Chardonnays and Pinot Noirs were standouts and Laurent-Perrier’s Millésimé 2004 is a 50/50 combination of those grapes, which are then aged for at least seven years. Featuring aromas of candied pineapple and complex notes with hints of poached yellow Mirabelle plums. The taste is well balanced and pairs nicely with white fish (pike perch or sea bass), citrus cream sauces, seafood, and fine aged cheeses. For this piece I chose a recipe from another one of my culinary idols, Chef Thomas Keller’s ‘Whipped Brie de Meaux en Feuilleté with Tellicherry pepper and baby mâche’ from his cookbook The French Laundry. He is the first and only American-born chef to hold multiple three-star ratings from the Michelin Guide. While living in Germany I taught myself the recipes and techniques of many renowned chefs through studying their cookbooks in a kitchen the size of a closet, cooking each dish over and over until I got it right; Chef Thomas Keller’s The French Laundry was one of my favorite subjects. 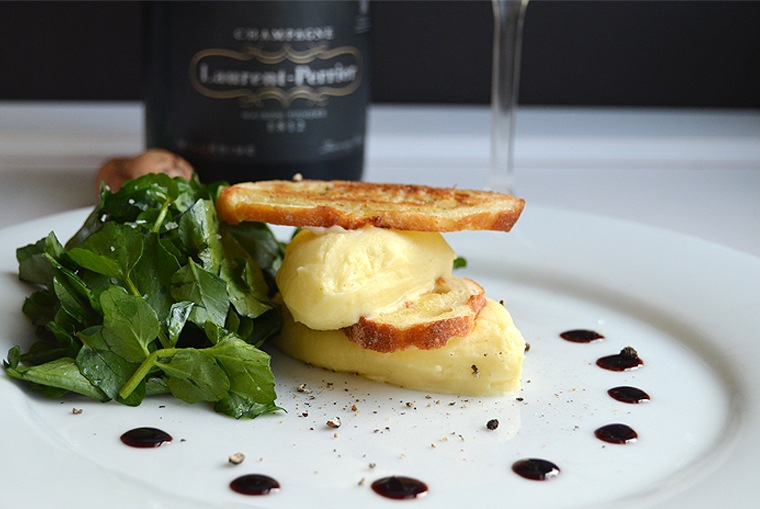 This dish is how he began a composed cheese course, with elegance and simplicity. 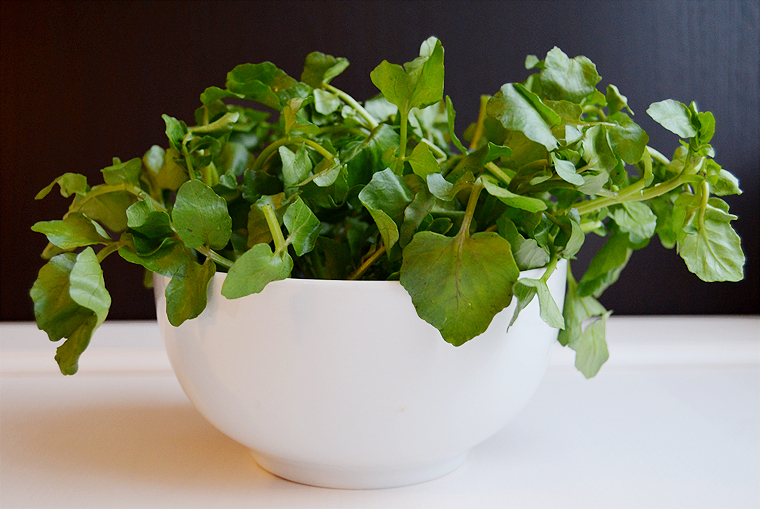 I think it is a perfect dish to serve as a starter for a holiday dinner party. 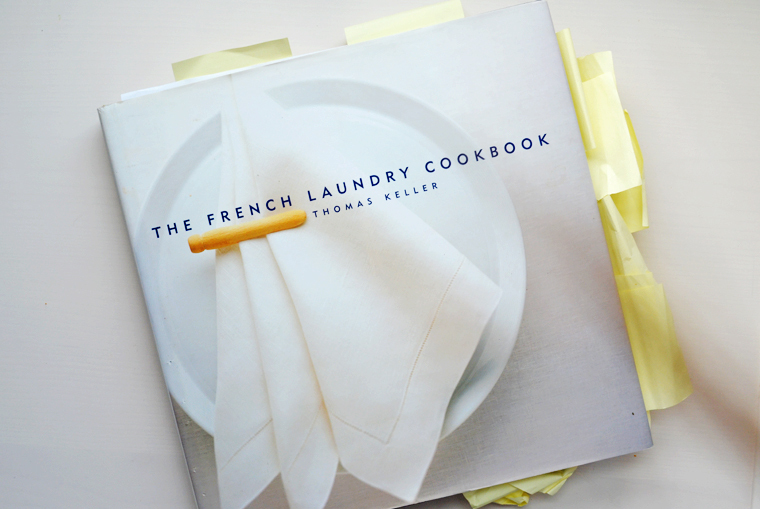 Recipe from Chef Thomas Keller’s The French Laundry cookbook. Note: To avoid a burnt taste and to give the acid time to mellow, simmer the wine or vinegar very slowly to reduce. This will result in a much milder flavor. Heat the vinegar or port wine in a heavy saucepan over medium-low heat until steam rises from the liquid. Reduce slowly (it shouldn’t simmer) for 2 to 3 hours to a thick syrupy glaze. There should remain only about 1/2 cup of balsamic or 1/4 cup of port wine glaze. Cool and pour into a squeeze bottle for garnishing the plates. If the glaze becomes too thick, warm the bottle in a bath of hot water until it loosens. 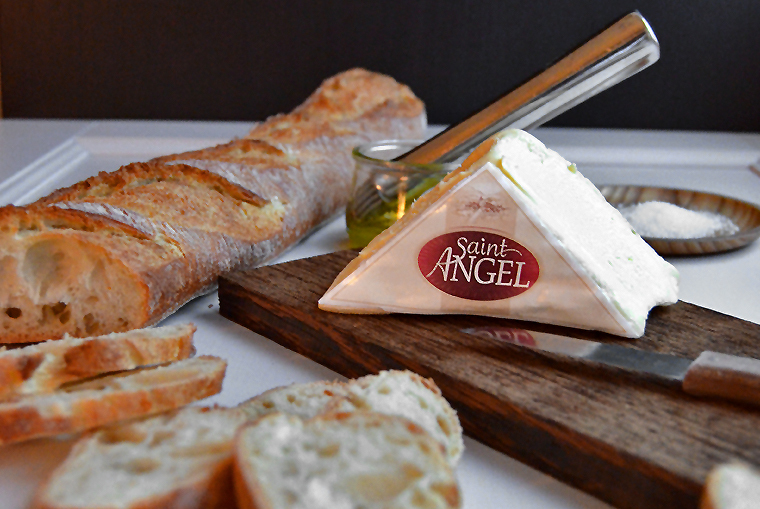 Remove the rind from the brie; you should end up with about 8 ounces trimmed. Place the cold cheese into a stand mixer bowl and using the paddle attachment beat at medium speed, scraping down the sides from time to time, for about 10 minutes until the cheese is very white and creamy. Set aside. 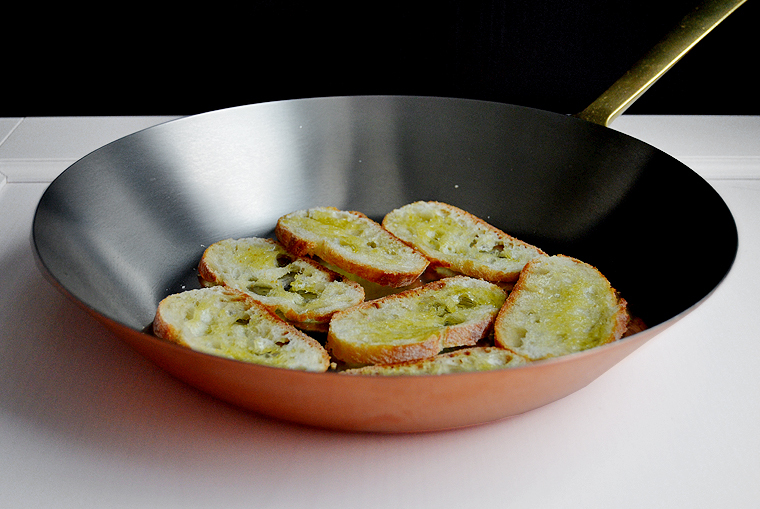 Lightly coat a skillet with olive oil and skillet over medium heat. Lightly brush each slice with oil and cook for 2 minutes on each side until golden, working in batches. Set aside to cool. 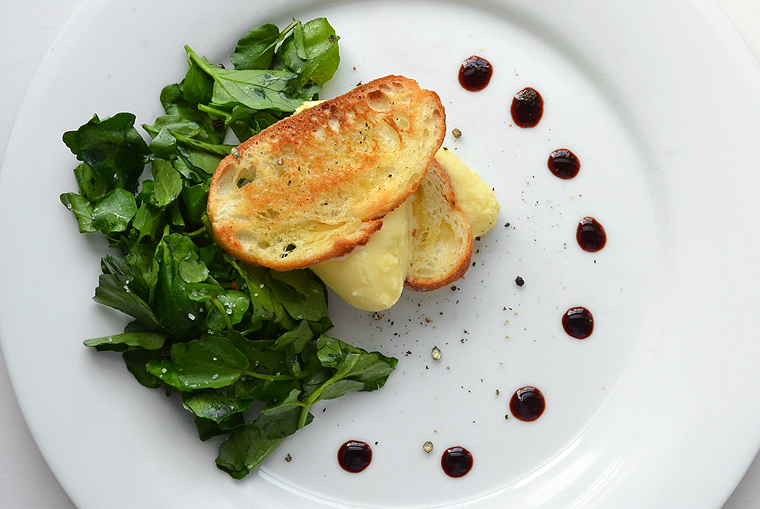 Squeeze the balsamic or port glaze in an X or other design along one side of each plate. Form a quenelle using the technique below and place in the center of the plate, top with a pinch of coarse pepper and a crouton, then place another quenelle on top, and finish with more pepper and a second crouton. Repeat on each plate. Toss the mâche with olive oil then garnish each plate with a small bunch, drizzle with olive oil and sprinkle with fleur de sel. 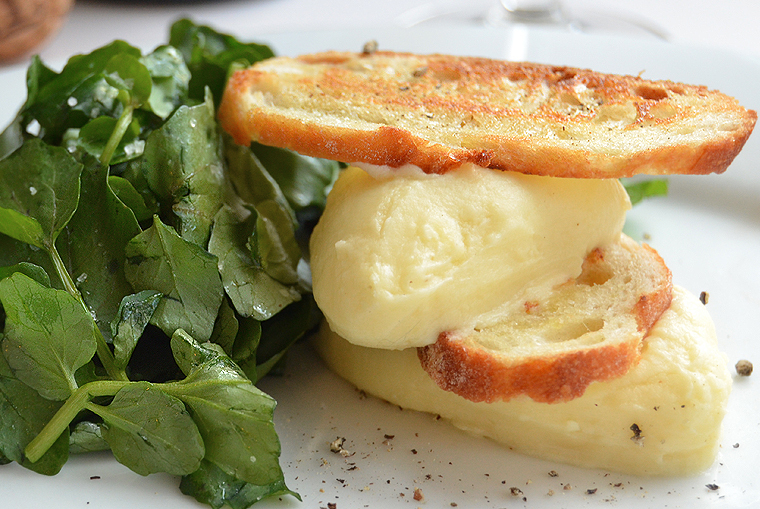 Quenelles are typically made with two spoons, but the edgeless oval created by drawing a spoon through something ice cream or mousse is a more elegant shape. To make a one-spoon quenelle, you need a cup of very hot water and a spoon. Dip the spoon in the water so it’s hot. Hold the spoon with the rounded bottom up, place the far edge of the spoon into the mixture, with the near edge close to the surface but not touching, and drag the spoon towards you. 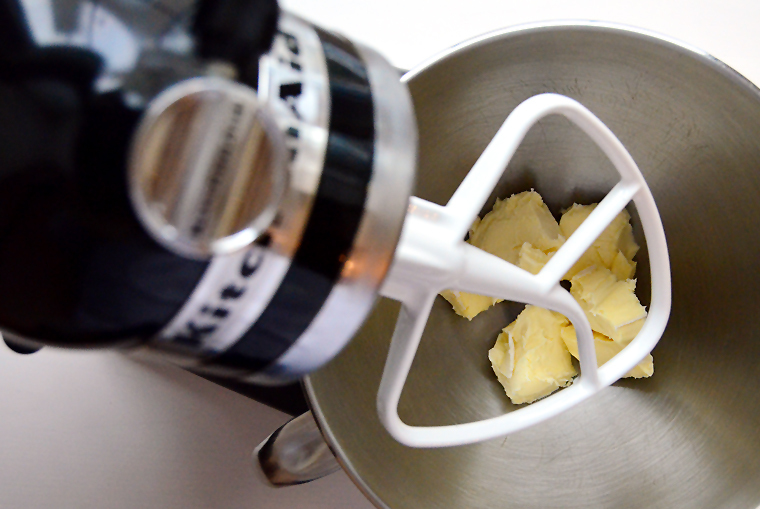 The mixture you’re scraping should curl with the shape of the spoon. As you drag, twist your wrist up until the quenelle folds over itself into an egg shape. 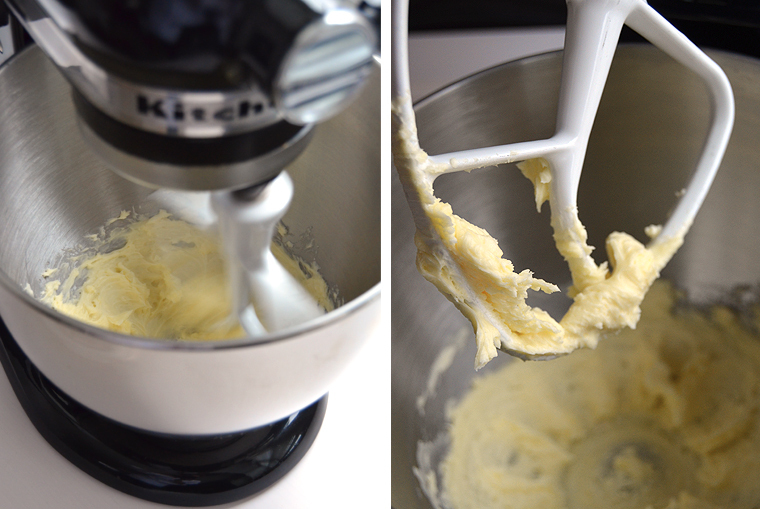 For the best shape, drag only once through the mixture; dip and clean your spoon for each new quenelle. It takes some practice. This entry was posted in Recipes and tagged advanced plating, brie de meaux, Brut Champagne, Brut Champagne Vintage, Brut Millésimé, champagne, Chef Thomas Keller, fine cooking at home, france, french, French brie, laurent perrier, Laurent Perrier Champagne, Laurent-Perrier France, Mâche, substitution for Baby Mâche, tellicherry pepper, the french laundry, Thomas Keller, Thomas Keller The French Laundry. Bookmark the permalink.